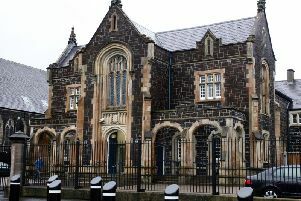 Police are appealing for information after a handbag was stolen from a church in Larne yesterday. It is understood the theft occurred within the grounds of St Anthony’s Church between the hours of 12.15pm and 7pm. Anyone with information is asked to contact police on 101, quoting reference number 1274 of 22/07/2018. Alternatively, information can be provided anonymously via Crimestoppers on 0800 555 111.